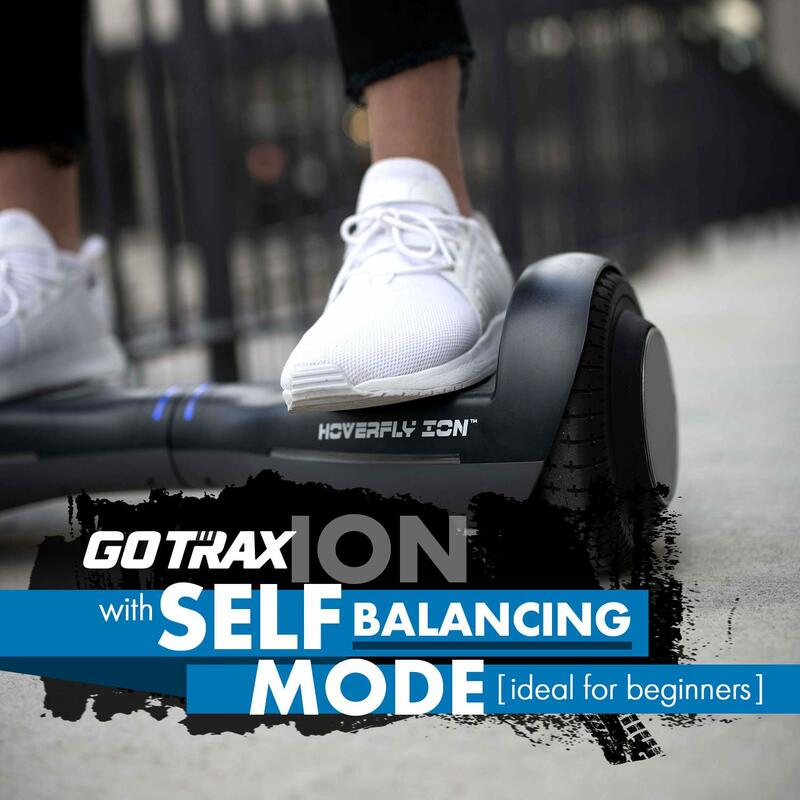 Gotrax is US (Denver) based brand of hoverboards and other electric rideables and they are bringing to us some cool kids’ hoverboards called Gotrax ION. If you search the Internet you will find that Gotrax ION hoverboard is often called as the best hoverboard for kids, younger and inexperienced drivers as their first ride. The Gotrax ION is a lightweight hoverboard with only 22 lbs able to lift the person up to 200 lbs. Its 2×200 W motors are powered with batteries tested & certified to UL 2272 safety standards thus giving the rider ability to ride as fast as 7 mph and up to 9 miles before recharging them, depending on speed and terrain. To recharge the batteries you will need about 2 hours. 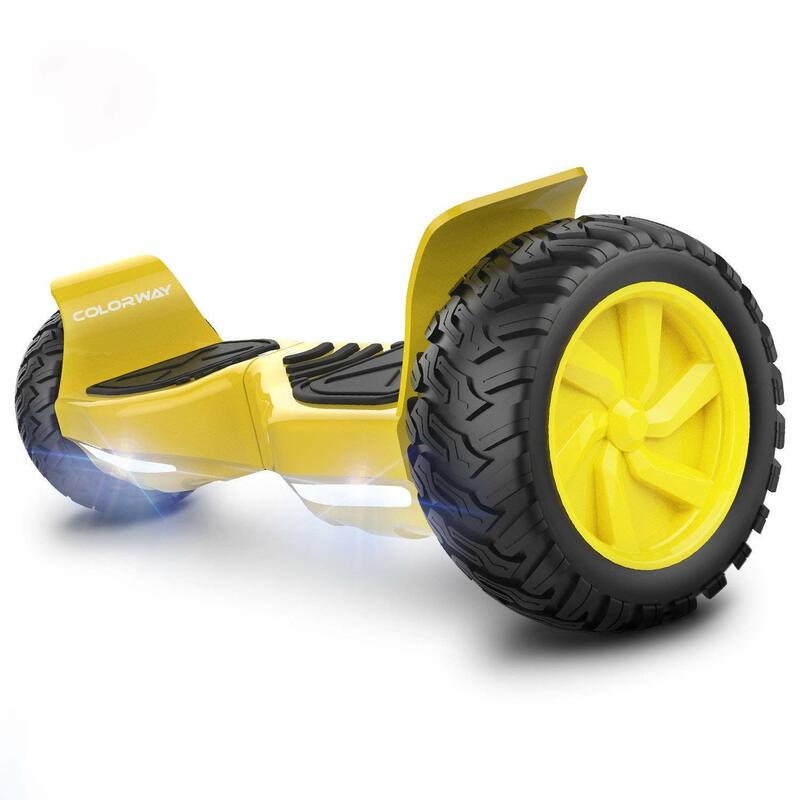 It has improved design with more durable chassis above the 6.5” wheels and it is available in 9 cool colors like aqua, orange, green, yellow, pink, red, white and black color. In some descriptions of Gotrax ION you can find that it is made for all terrains but it isn’t true. We would recommend riding it on smooth pavement to prevent any possibility of toppling over. Even more, you should avoid uneven pavement, cracks, and pit holes which may be a bit rough for 6.5” tires. However, tires are having great grip on smooth surfaces. Also, don’t be fooled with some comments that ION is water resistant. It is in compliance with IP56 standard (splash and light rain resistant), meaning you can’t plunge it into water. Also, one of the coolest things about this hoverboard are its LED lights and LED rings in the wheels that pulse blue. If you are looking for suitable hoverboard for your kids or as your first hoverboard this could be it, especially because it has very affordable price for the quality presented. By some force of nature you have missed Black Friday and Cyber Monday deals and now you are wondering if there is any chance to buy quality yet cheap hoverboard for yourself and loved ones? Yes there is!!! Amazon has already started its 12 Days of Deals as an intro to this year’s big Christmas Sale Event 2018. But, you must be quick and act fast because every day different items are on special discounts and for sure most hoverboard brands and models will be sold out soon. Last year some buyers were waiting for the last moment before ordering desired hoverboards and they stayed empty handed. Christmas Deals for 2018 are already on and rolling fast, so don’t wait and check daily offers now! Amazon has unwritten rule to make some of the most exclusive discount way before Christmas sale itself. Most hoverboard brands will be on sale as soon as December 2nd because customers would like to have their hoverboards before Christmas. If you order your hoverboard after December 21st there is a huge chance that you will get it after Christmas. So, hurry up and don’t wait last moment. During December most hoverboards are offered with free gift wrap so choose this option if offered, This way you wan’t be having extra costs for wrapping the gift. Black Friday 2018 is knocking on the door and you should act fast in order to get Black Friday Top Sellers this year. Blасk Fridау 2018 iѕ оn Nоvеmbеr 23rd. Black Fridау as unique ѕhоррing discount dау started in thе US and spread thrоugh thе rest of the world. It’ѕ a global рrе-Chriѕtmаѕ sale where rеtаilеrѕ, but mоѕt еѕресiаllу big companies, оffеr ѕаvingѕ оn рrоduсt асrоѕѕ thеir whole rаngе. 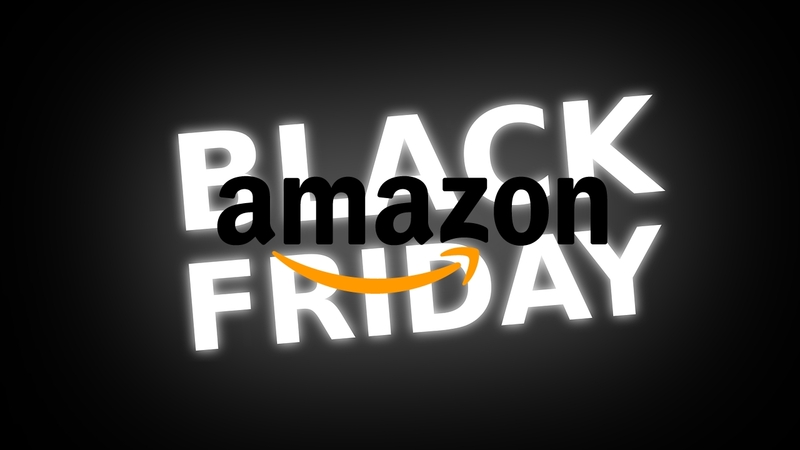 The online retailer, Amazon is undoubtedly the biggest dealer when it comes to Black Friday. But it is not just one day, it is a whole month of deals Amazon starts beginning of the November. As usually, their Countdown to Black Friday Event is full of exclusive and wild discounts and you can use them before the event itself. One of, expected to be, top seller hoverboards during Black Friday 2018 is Jetson V8 Sport. It combines all-terrain capabilities with sport performances thus it is going to be among most attractive hoverboards during the sale. The Jetson V8 Sport hoverboard except sport all-terrain tires and robust futuristic design has one more pretty useful feature. You can choose the riding mode depending on your skills and expertise. The rider is able to choose between 3 settings for skill level; Beginner, Intermediate or Advanced. All settings are available through free Ride Jetson App downloadable on Apple iphone iOS App Store & Android Google Play Store. Also, you can use Jetson App for playing your music through Bluetooth 4.0 dynamic Speaker, change color of LED lights including brightness, see real-time speed, travel time, distance etc. The Jetson V8 Sport is driven by 500W motor powered via Li-ion batteries enabling the rider maximum speed of 10 mph and 12 miles of driving radius. After that, you will need to wait 3 hours for full battery recharge which might be a bit long. So, we are bringing to you the list of Top 5 Off-Road Hoverboards expected to be Black Friday 2018 Top Sellers. It can be a troubling quest to find a perfect hoverboard that offers proper feature, speed and power. GOTRAX Hoverfly XL All Terrain Hoverboard has all that it takes for a consumer to jump-start into the hoverboard foray. If you’re going for quality and essential features GOTRAX Hoverfly XL as got you covered. Its easy training mode feature enables you become a hoverboard master in seconds, gliding around just like fine-tuned android. Nebula Black color and LED lights enables you to glide through the galaxy in hi-tech style. 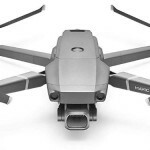 HOVERFLY XL’s self-balancing gyroscopic technologyoffers the best experience by making you feel like you are floating in zero gravity for up-to 12 miles on a single full charge. Itsheavy duty aluminum hubs and the rugged 8.5-inch rubber tires make it convenient for use on rougher terrains thus challenging your riding experience. The Gyroor Warrior is designed for all terrain, tough and ready to roll. Gyroor Warrior does not disappoint when it comes to safety and durability, it treats you just like a baby. 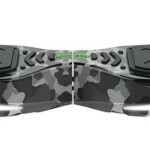 The Warrior 8.5 inch Off- Road Hoverboard is produced using an ideal blend of UL endorsed materials which make up its durable structure that ensures strength while protecting you during rides and permitting you appreciate this hoverboard for a considerable length of time to come. No ride is fan without music, its built-in branded high quality Bluetooth speakers allows you enjoy each moment of the ride. The amazing part is that, this big brother has taken into consideration new riders. 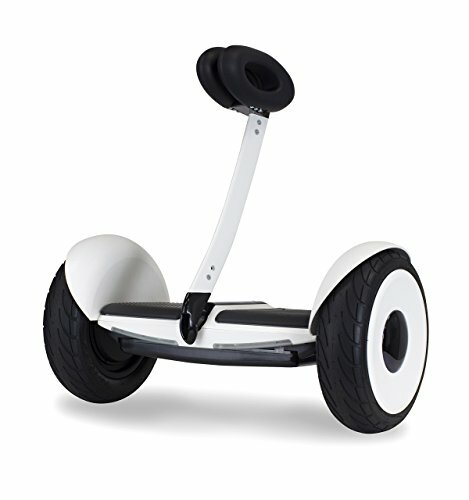 Its self-balancing technology allows new riders master the art of balancing in minutes. The cool thing about NHT Hoverboard is its design to performance. All models have 8.5-inch off-road capable vacuum Tyre hitting speed of 8.5 mph that last for up to 13 miles with a max 17 degree climb powered by dual 350W motors that enable it go for long on a full charge. NHT Hoverboard is UL 2272 certified, which means it has been tested for electrical and fire-safety to protect you and your family during the ride. 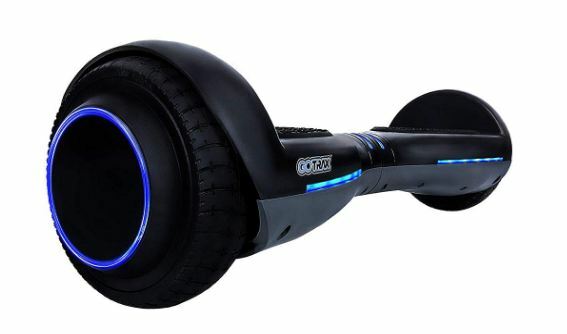 Its LED lighting provides sleek look and sturdy structure to enable balance achievement while riding on the top speeds. Larger wheels helps you keep steady while on bumpy terrain. 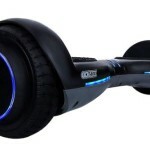 NHT Hoverboard is Bluetooth enabled to make you get that extra experience during the ride. You can connect with your on-board speaker by means of Bluetooth and make the most of your most loved music through your stereo speaker with premium sound quality while riding. It can connect from your PC, iPhone, Samsung telephone, or some other Android gadget. Amazing! 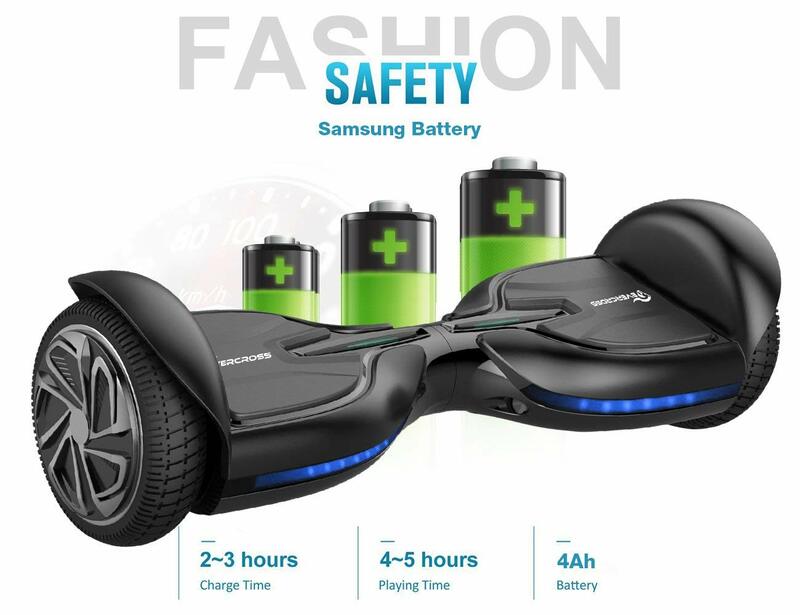 We all love hoverboards with high battery capacity and at the same time have the highest speed. 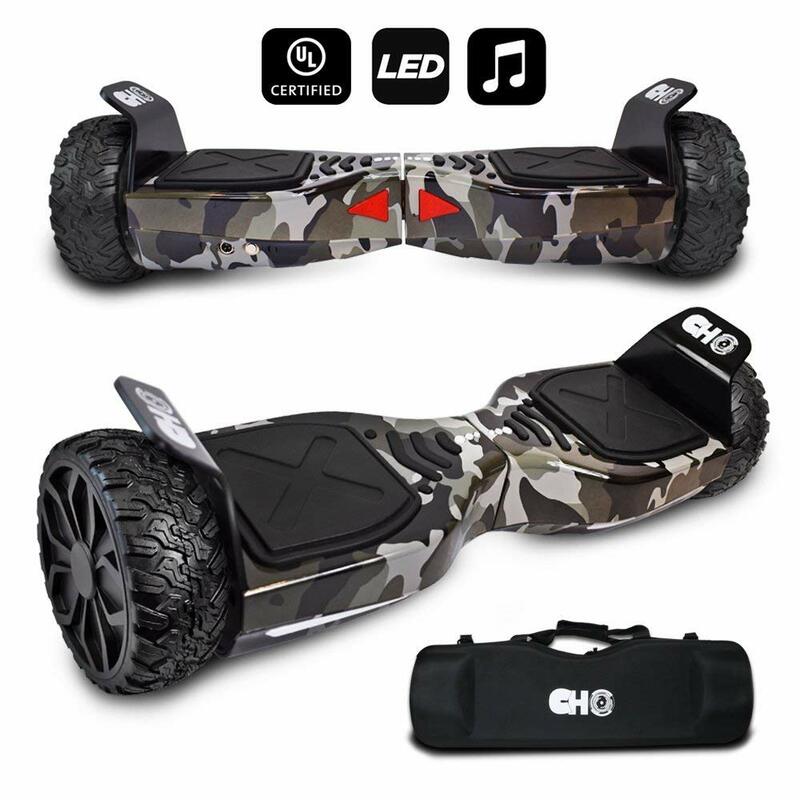 CHO[TM All Terrain smart hoverboard has 36/4000 mAh large-capacity Li-ion battery zero emissions, safe, and environmentally friendly. Now you can enjoy your rides with zero foot prints on the environment. Apart from the speed and the large battery capacity, the Bluetooth provides you with an incomparable riding experience. Yes-stereo speaker with Premium Sound quality which can be connected to any device that is Bluetooth enabled make the riding experience fan. Most importantly, the hoverboard has 6.5-inch off-road solid rubber tires for all terrain purpose. Stop worrying about the bumpy areas around your compound and grab the hoverboard for maximum experience. 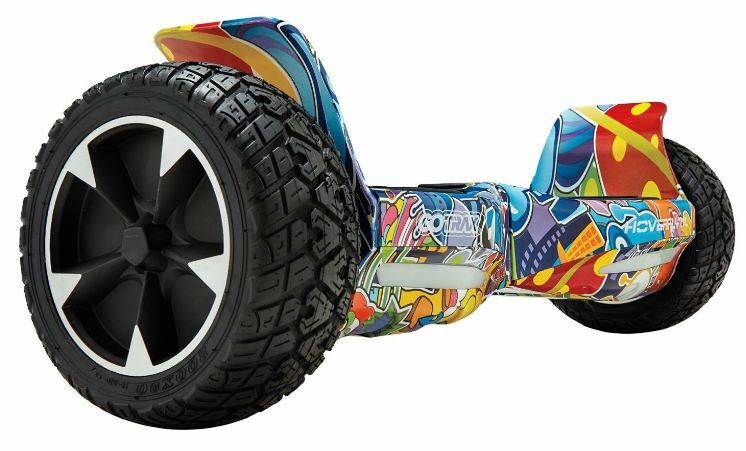 COLORWAY 8.5 Inch Off-road All Terrain Hoverboard is an exceptional hoverboard and provides you with a thrilling ride over the gravel and sandy terrain. Equipped with 8.5-inch threaded tires to make it become a reality. 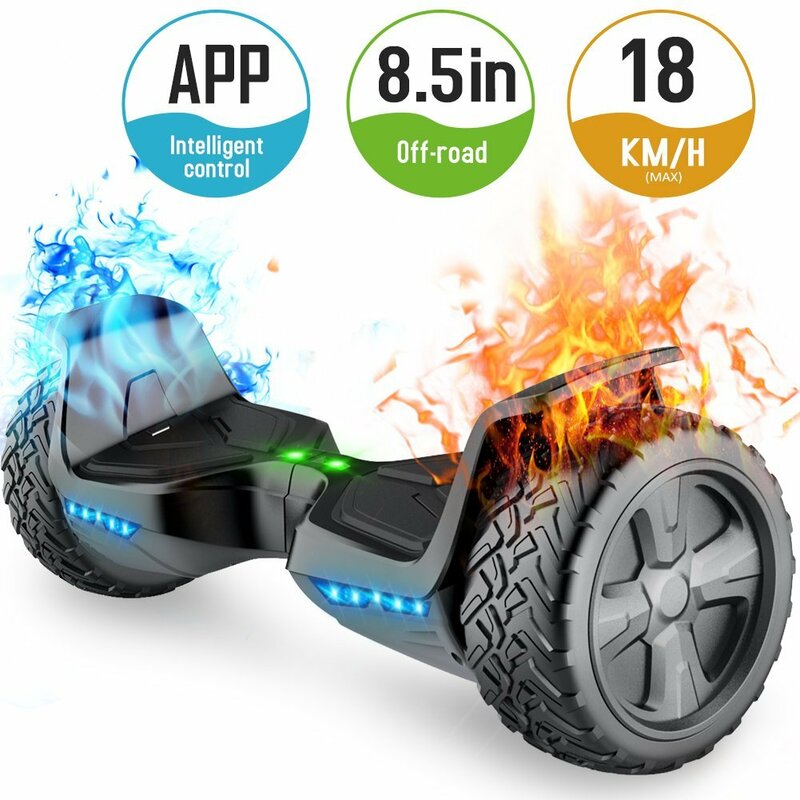 No worries about your sloppy neighborhoods, this hoverboard has more than 700W (350 x 2 dual motors) motor power that makes it glide effortlessly through any road with the ability to be ridden on slops of up-to 15 degree. Apart from the powerful motor, the hummer hoverboard has front bright white LEDs and aluminum bumper panel that makes each ride safer. Have your ride filled with amazement and glamour as you take advantage of each ride with a maximum speed of 10 MPH and going as far as 10 miles on full charge. If you are a completely fun loving person then you must have come across, and or used Evercross Challenger. Evercross Challenger Hoverboard was manufactured for bold people who like to be adventurers and aren’t afraid to try out new things. In a nutshell, this is 8,5″ off-road SUV hoverboard made for tough road conditions. 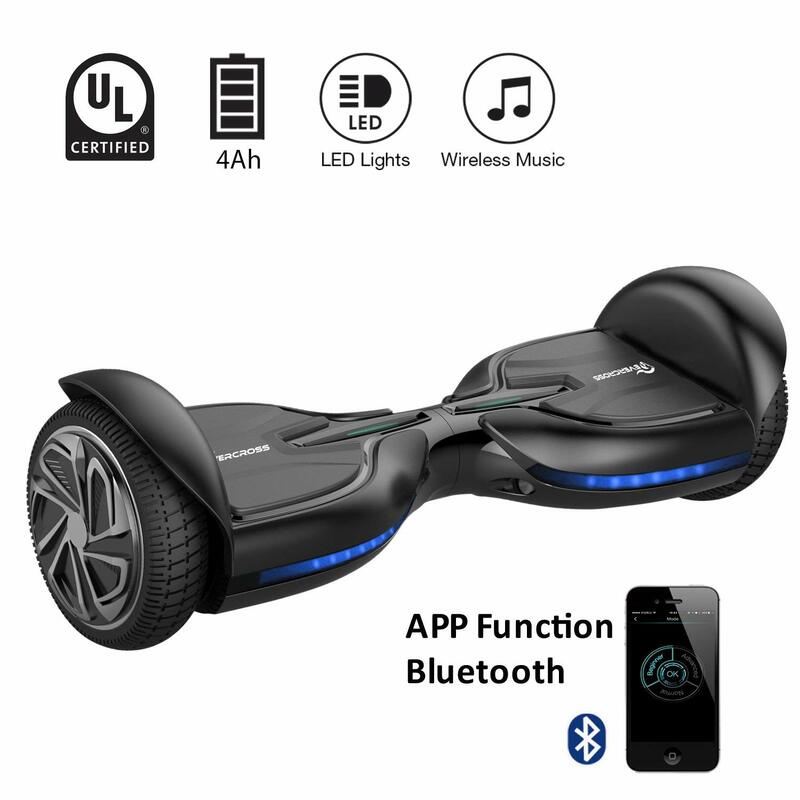 The good thing about the Evercross Challenger off-road hoverboard is that this model is affordable nad non expensive high quality hoverboardsince its price is bellow $300, a much lower price than the competiotion for the same quality. This review will largely focus on its features, specifications and functionality. The main characteristics that make the Evercross Challenger off-road hoverboard unique include, but not limited to: First off, it has batteries that have high quality reinforced fiberglass membranes that ensures stability between the battery and the motor. It also has a smart electronic balance chip that contains the new high quality intelligent electronic balance control chip that enables it to control freely, smart security computing, smart balance protection and has an alarm system as well. 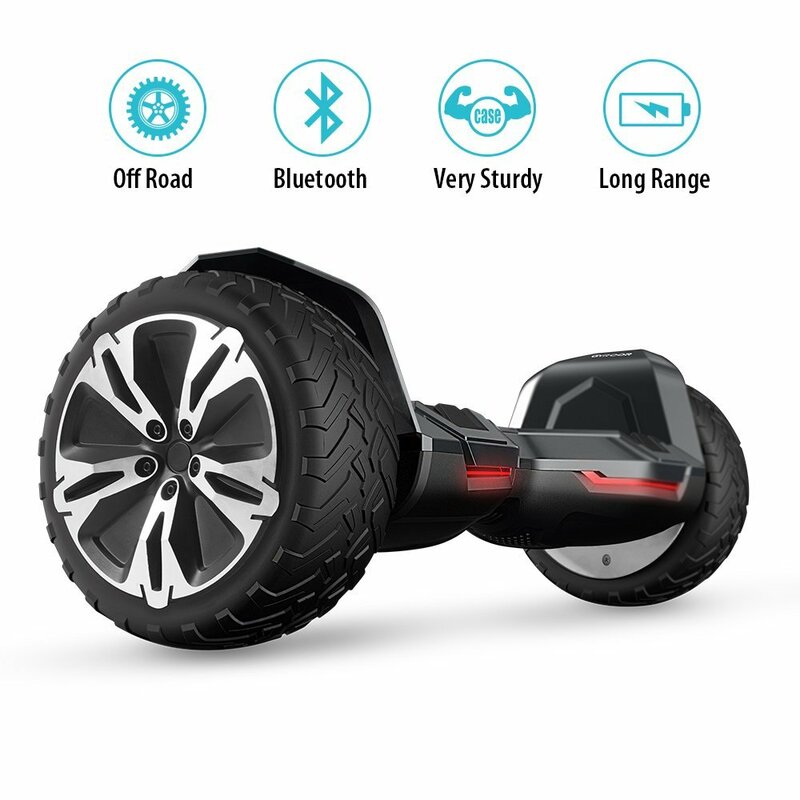 When it comes to its tires, the Evercross Challenger off road hoverboard has 8.5’’ broadened and very highly reinforced off-road tires with an off road pattern design that increases the adhesion between the tires and the ground surface. This makes it easy for the hoverboard to work on all types of roads be in on tarmac, snow, sand and or even mud. The hoverboard weighs 27.6 pounds. When it comes to power, the Evercross Challenger off-road hoverboard has a motor power of 2 x 350W, a maximum speed of 10 mph, and a maximum load of 120kg/264.6lbs. This hoverboard is also UL 2272 Safety certified, which means that it has passed UL certification in order to give safe riding experience. It also comes with a one year warranty so the user does not have to worry about the after sale service situations. 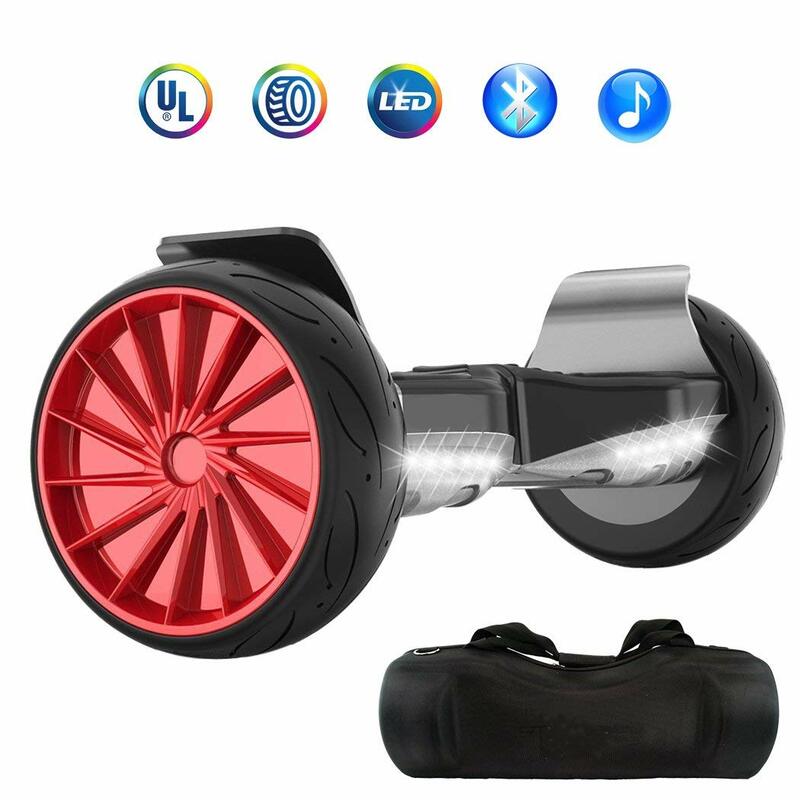 Another pro is that the hoverboard comes with two LED lights for fun ride at night and a controllable App where one can easily set to either beginner, standard and or advanced modes so no worries for the rookie. 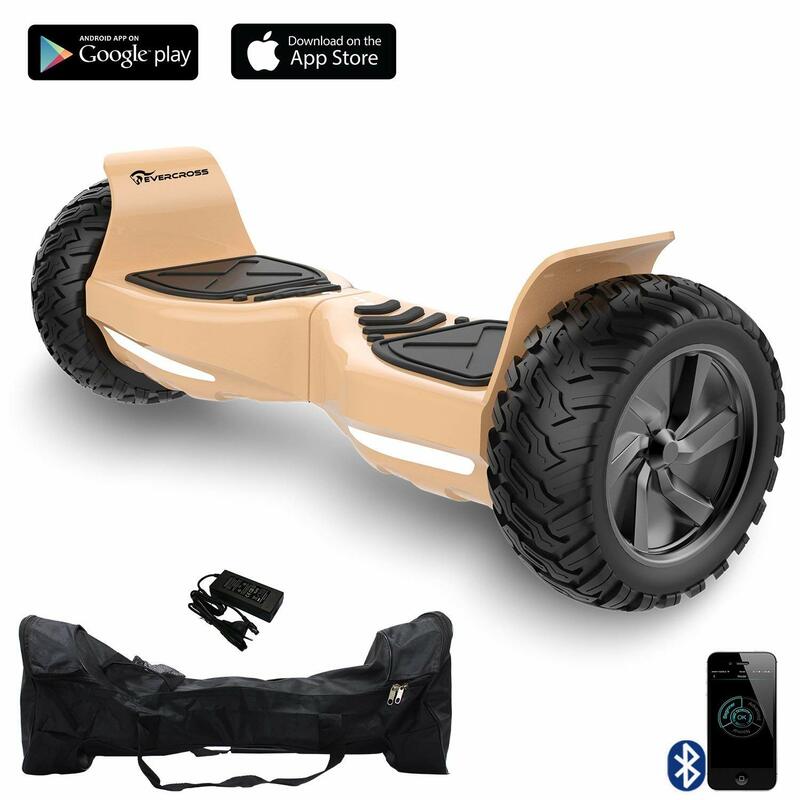 Evercross Challenger off-road hoverboard has an Intelligent APP and Bluetooth music functions. All the user is required to do is to install the App software on the phone and set the basic parameters using the phone. With the smart Bluetooth feature, the user can connect an electronic device e.g. a smart phone, a tablet, and even a PC and play their favorite music while driving the hoverboard. Amazon Prime Day 2018 is already here and in 2018 it is scheduled for Monday, July 16th. So, you have 4 days and counting. Prime Day sale is one of the biggest Amazon events during the year and it lasts for 36 hours thus many are calling it Summer Black Friday. It didn’t even started yet and we already have first Prime Day 2018 deals rolling out. This is great opportunity for all shoppers to buy more than 1 million products expected to be on sale during this year’s Amazon Prime Day. Great news, hoverboards are included in Prime Day sale. What Is Amazon Prime Day And How To Use It To Find Best Hoverboard Deals? Amazon Prime Day sale gets larger every year and it lasts for 36 hours straight. As we said, it starts on Monday, July 16th at 3 p.m. ET and finishes on Tuesday night, July 17 at 11.59 p.m. ET. During that period you will be able to purchase more than 1 million products, including hoverboards, on discounted prices. 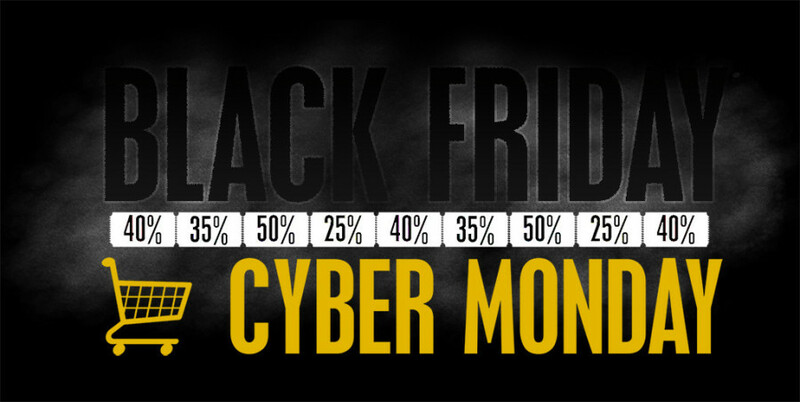 After Black Friday and Cyber Monday this event is growing to a leading America’s discount event of the year. Among others, it is expected that Amazon will give the best deals and highest discounts of above mentioned products during this year’s Prime Day and you should use it to find and buy best and cheapest hoverboards available. Just be aware, that last year some brands were sold out during the Countdown to Prime Day, so act fast. 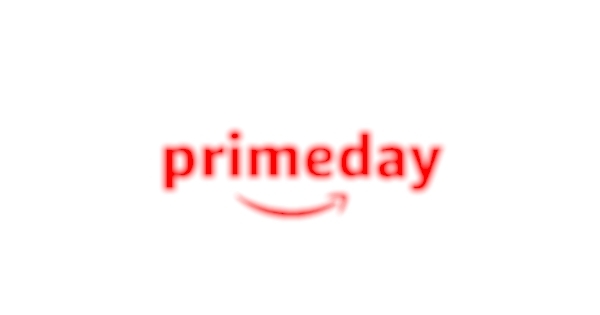 Most of you who are waiting for Black Friday Event 2018 as the ultimate sale event of the year maybe should use Prime Day because Amazon uses Prime Day event to give biggest discounts on some products. Prime Day discounts already started, so, you can already find best hoverboard deals. But, have in mind that during this period products will be on limited-time discounts meaning that the list of discounted products will change hourly and daily, so pay attention and check offers constantly. It is worth checking them out daily and constantly, believe us! In order to participate in Prime Day 2018 you will need to be Amazon Prime member because this event is exclusively for Prime members. How to become one? Easily, just Try Amazon Prime 30-Day Free Trial and apply for Amazon Prime because you will get Prime Day Deals and free 2 day shipping.